Texas has a large number of outstanding golf communities - here is a our list of Texas Outside's Favorite Texas Golf Communities which are some of the best golf communities in Texas. Lake Texoma 18 New golf course and community with rolling hills, lots of trees, a marina, miles of shoreline on Lake Texoma, a fantastic golf course, and lots more. Read our to learn more. Possum Kingdom Lake 18 Magnificent homes scattered throughout the community including some on a 200 foot bluff over looking the most beautiful lake in Texas or overlooking some of the golf holes on our favorite Texas Golf Course - read our review of and . 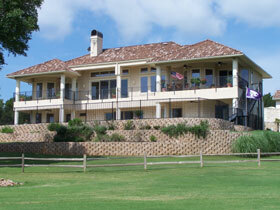 Lakecliff Country Club Spicewood 18 Exclusive community with beautiful homes on huge lots above Lake Travis plus a fantastic golf course. 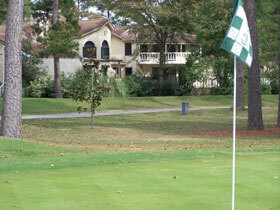 Read our review of Lakecliff CC's golf course. Canyon West Weatherford 18 Elevated tee boxes with soaring views of 4 counties, 8 lakes, a deep canyon, and a waterfall make this a very fun course to play and a nice golf community with some huge beautiful homes with stunning views. Read our review of Canyon West. Wylie 18 Very fun and challenging course and a great community with pools, trails, and more. Read a review of and check out the review of the . 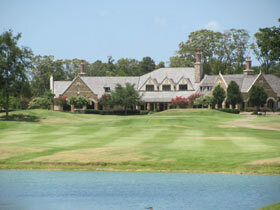 Twin Creeks Cedar Park 18 Listed in Golfweek's "America's Best Courses"
Buffalo Creek Rockwall 18 Ranked #4 in the Texas Top Ten public golf courses -- bring plenty of balls as it is a challenging course with water hazards on 11 of 18 holes. 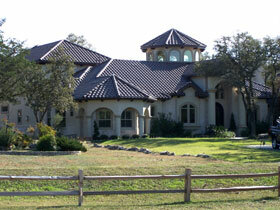 River Crossing Club Spring Branch 18 Panoramic views in a quiet country setting.